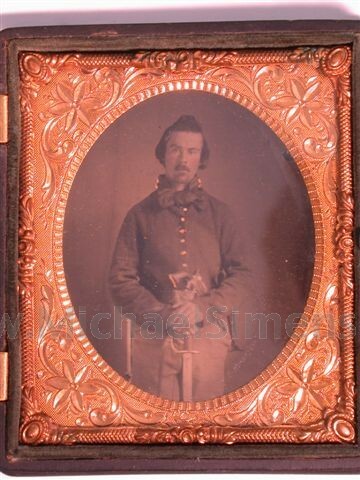 This is an extremely rare image of a Civil War Cavalry Trooper for one specific reason. 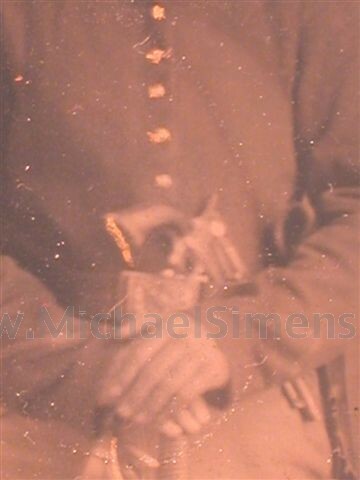 He has a Colt, 1860 Army Revolver with a Fluted Cylinder in his belt. It's a sixth-plate and is relatively sharp and clear.